The Geography of Food and Agriculture Specialty Group (GFASG) sponsored nearly fifty sessions at this year’s AAG meeting. Topics in these sessions include: political economy of agri-food systems; food and identity; urban agriculture; land and food sovereignty; ecological impacts of food systems; and more. Please check out 2015 GFASG Sponsored Sessions to find your interested sessions at the meeting. I hope you are all gearing up for an exciting week in Chicago! In preparation, please take some time to peruse the 2015 GFASG Newsletter to find out about GFASG co-sponsored sessions, meetings, and events – we hope you’ll add them to your calendar. Additionally you’ll find more general news from the group, such as highlighted member achievements and publications, an announcement of the 2015 GFASG Graduate Research Grant Winner, and an annual message from our chairs. Enjoy! Thanks and see you soon in Chicago. Greetings current and future GFASG members! The Geographies of Food and Agriculture Specialty Group is pleased to welcome you all to this year’s Annual Meeting in Chicago. Building on the momentum of last year’s conference, our Specialty Group has been working behind the scenes to support agri-food interests within the AAG. No surprise, but agri-food issues are becoming increasingly popular among geographers. Our membership rosters climbed by about 50% to 359 members since last year, and we received a much larger number of requests for session sponsorship this year. In the end, we sponsored nearly fifty sessions at this year’s Annual Meeting, and quick keyword search of abstracts came up with about 150 papers with a keyword of “agriculture” and well over 200 papers focusing on “food”! The Geographies of Food and Agriculture Specialty Group (GFASG) is pleased to announce the result of the 2015 GFASG Graduate Research Grant Competition. This year we had 24 applicants and it was truly difficult to make a decision. Elsie Lewison, PhD Candidate in Human Geography at the University of Toronto, receives this award for her compelling and clearly articulated project. 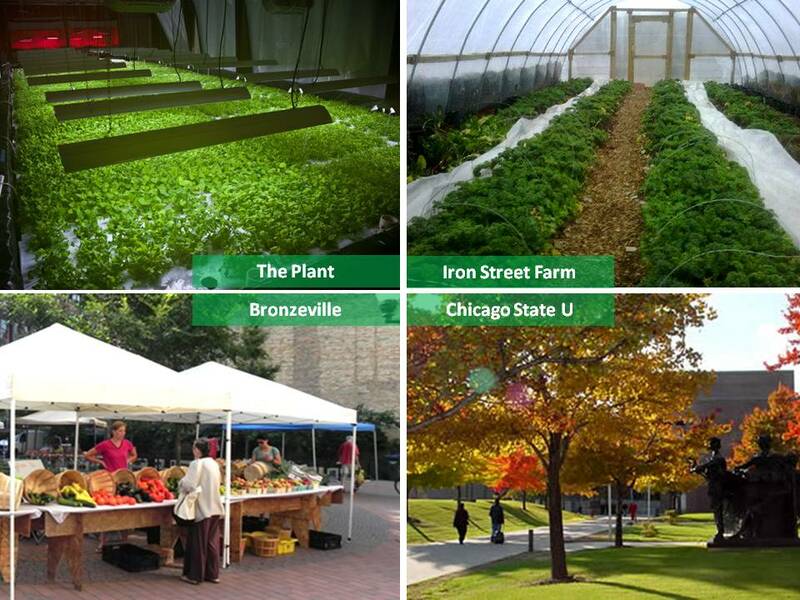 Time: Tuesday, April 21, 9:00 a.m. – 4:00 p.m.
Chicago has seen a flowering of urban agriculture and community gardens in the past fifteen years, ranging from small community gardens associated with particular community groups to indoor aquaponics sites, to larger organizational urban agriculture sites. This tour will visit The Plant, an indoor sustainable food incubator in an old Stockyards area warehouse, world renowned food justice organization Growing Power’s Chicago Iron Street farm, a community garden at Centers for New Horizons, a Bronzeville social service organization, and the the Chicago State University aquaponics center. Lunch will be served at Growing Power and is included in the price. Time: Saturday, April 25, 8:00 a.m. – 6:00 p.m.
Agriculture is at the center of Illinois’ economy and is innately tied to the physical, cultural and political geography of this region. In this day long field trip, we explore a range of agricultural production operations in northern part of the state to learn more about the diversity and complexity of Illinois’ agricultural landscapes. 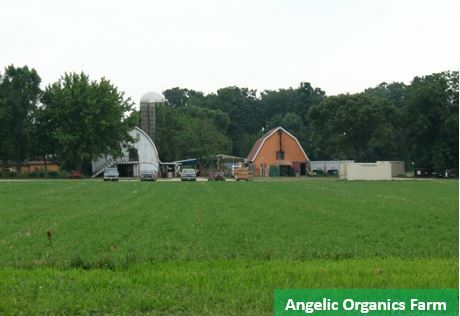 The tour will include a visit to a state of the art robotic dairy operation, a large-scale commercial cattle and grain operation and a tour of Angelic Organics, one of the largest organic community supported agriculture (CSA) operations in the country.